Spirit Airlines has wasted no time capitalizing on the Tiger Woods crash and ensuing scandal. 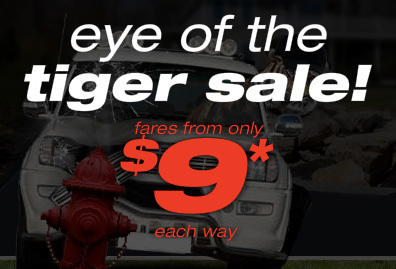 Visitors to the airline's web site are greeted with an "Eye of the Tiger Sale," which promises fares starting at $9 each way. 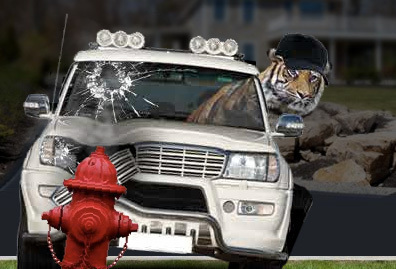 The accompanying graphic shows an SUV crashing into a fire hydrant with a tiger peering out the driver's window. While it is unclear whether it is advisable for an airline, of all industries, to so proudly showcase crash imagery, the ads are already drawing attention online.